Saturday, October 26 @ 2:00 p.m.
emPowHering YOU is intended to give you tips to define, refine and own your voice both at home and in the workplace. At the conclusion of the seminar, you will be able to ask yourself key questions and reflect on life experiences that have made you the person you are and will ultimately guide you to the person you aspire to be. 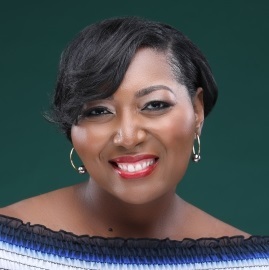 Shantera L. Chatman, MBA is Managing Partner of C+A Global Group consulting firm as well as Founder and Executive Director of The Chatman Women’s Foundation. She is a sought after speaker who focuses on leadership, women’s empowerment and people engagement. She is a native Houstonian, a graduate of Texas A&M University, and has been married for 17 years.